Native to rainforest regions, Parlor Palm (Chamaedora elegans) thrives in low light and shaded areas of the home. Bright filtered light is also acceptable but do not place in direct sunlight. Intense light may cause drying of the plant which can lead to pest and pathogen problems later or cause the Parlor Palm to perform poorly. Parlor Palm prefers areas with high humidity. The soil around a Parlor Palm should be evenly moist. Water freely during the growing season but reduce the frequency of watering during the winter. Make sure that the soil remains moist but well drained. Brown leaf tips are a common problem with Parlor Palm and are usually indicative of excessive soil watering or a lack of humidity. 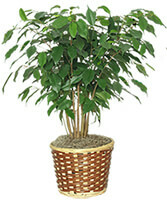 Fertilizer requirements for Parlor Palm houseplants are rather simple. Apply a balanced (20-20-20) liquid fertilizer monthly. Another option is to reduce to quarter strength and apply weekly when lightly watering. 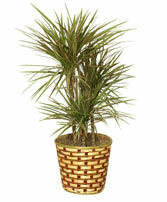 Parlor Palms are susceptible to several pest and pathogen problems. 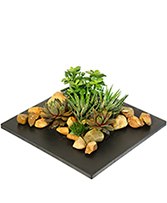 Plants may experience difficulty with scale insects, mealybugs, and spider mites. Typical pathogen (fungal and bacterial) that may infect Parlor Palm houseplants are fungal leaf spots, root rot, and stem cankers. Fungal leaf spots and root rot are usually indicative of excessive watering and other moisture problems. Prevention is the best cure for pathogen problems by maintaining a healthy plant which is better able to fight off infection. Cankers can be caused by fungi, bacteria, or frost and can be spread through the air, wind, animals, plant shears, and more. Typically, a cankerous infection forms in a wound or opening which kills the plant and stifles the flow of nutrients to the portion of the plant above the diseased area. Any portion above the diseased area can show signs of decline. Prevention is again the best cure through proper pruning and maintenance. Parlor Palms are among the slowest growing houseplants. Maximum height for Parlor Palm plants is just above a meter but may take decades to reach. 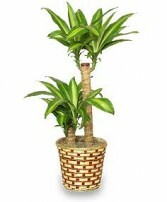 For this reason, Parlor Palms do not require potting on as often as many other plants. 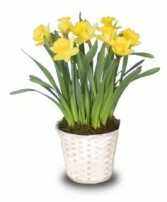 Pot on or top dress in spring to ensure proper nutrition in the soil of active plants. 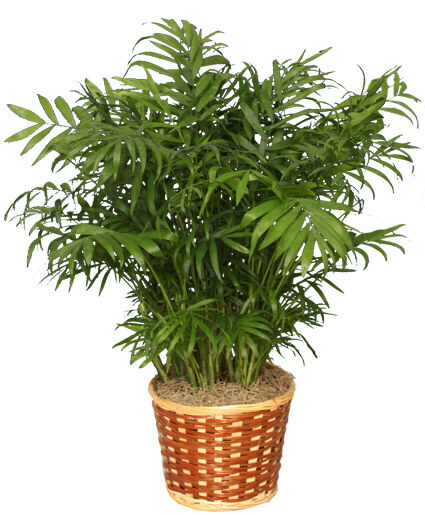 Care for Parlor Palm houseplants by growing in standard potting mix that allows adequate drainage while allowing the plant to retain moisture. During the dormant period, remove dead leaves, diseased leaves or branches, or any branches that are rubbing against one another as this may cause cuts. When trimming, avoid making stubs. Leave incisions as small as possible as plants will have an easier time naturally healing the wound. 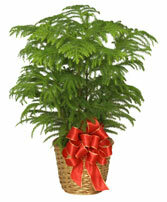 Find a florist near you to order a Parlor Palm today!